Another week, another set of flights half-way around the world on business, and a chance to check out the availability of Armani clothing on another continent. This time it is Washington DC and Virginia in the USA. Milan’s Galleria Emanuele Vittorio II, also known as il salotto di Milano (Milan’s drawing room). What was also disappointing, but not surprising, is that these stores carry a sub-brand somewhere between the black label Giorgio Armani and the more egalitarian Emporio lines, called Armani Collezioni. I had a good look at the clothes in this range, and I think Collezioni is much closer in quality (and price) to the Giorgio Armani RTW lines – in fact so close I bought one black polo shirt. 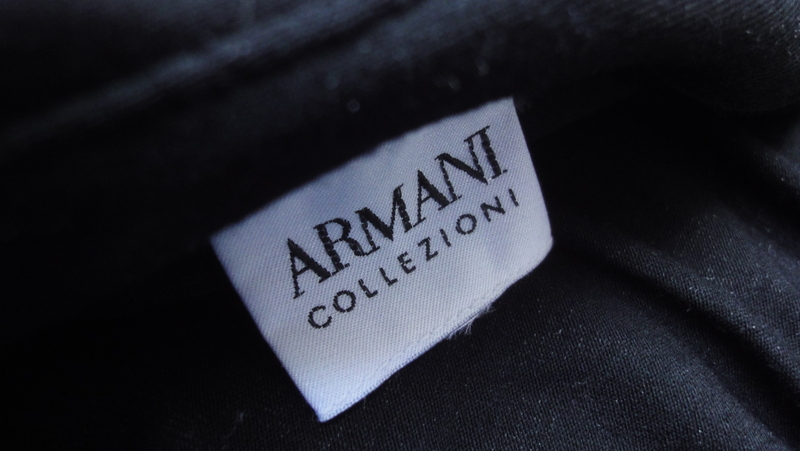 It’s a practical way to scale Armani clothing across this huge market, and also a way to keep shops stocked at lower cost (the polo shirt was made in Turkey, not Italy as would be the case with pure Giorgio Armani), but it’s not the same. The luxurious nature of shopping in the boutiques is on another level entirely, at least in my experience. 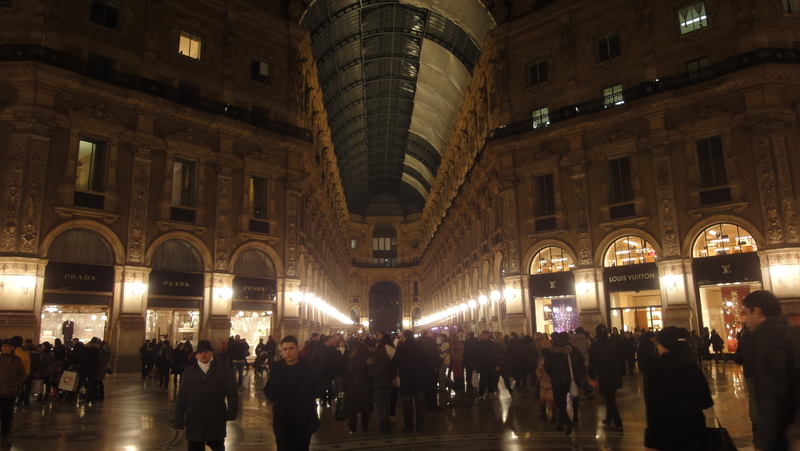 The attention I received in the Milan boutique in January, or in the Florence boutique in December, was incredible. Clearly they want to sell me clothing, but they see that I am a serious buyer who knows the Armani Code, and react accordingly. As just one example they altered a knitted cardigan (again, that word “cardigan” does not do the garment justice) by taking off the knitted sleeves, shortening them by 2 centimeters, and then sewing them back on again, flawlessly, in just one hour. Now, all GA boutiques have in-house seamstresses/tailors, and they are all good – the Florence and Munich ladies are great. But my attendant in Milan told me that store has 11 seamstresses in-house waiting to make alterations. Eleven. And now that I am a regular customer, the prices in the Giorgio Armani stores are slightly more accessible – this simple black polo had zero discount because Saks don’t see my Armani shopping record on their database, whereas the Milan GA store definitely did see my record, and offered me 10%-30% offsets from the tag price. So overall this was not the most exciting or rewarding or financially astute shopping I have done for Giorgio Armani clothing, but I hope that I will get a chance to give America a fair shake through a visit to the serious boutique on Rodeo Drive before too long. Stay tuned for that Hollywood update.